Time for another link fest. 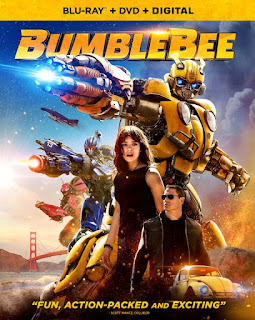 This one is fairly focused on official Transformers toys including a look at the new Masterpiece version of Optimus Prime, a new DOTM toy, more 3rd party stuff and three reviews. 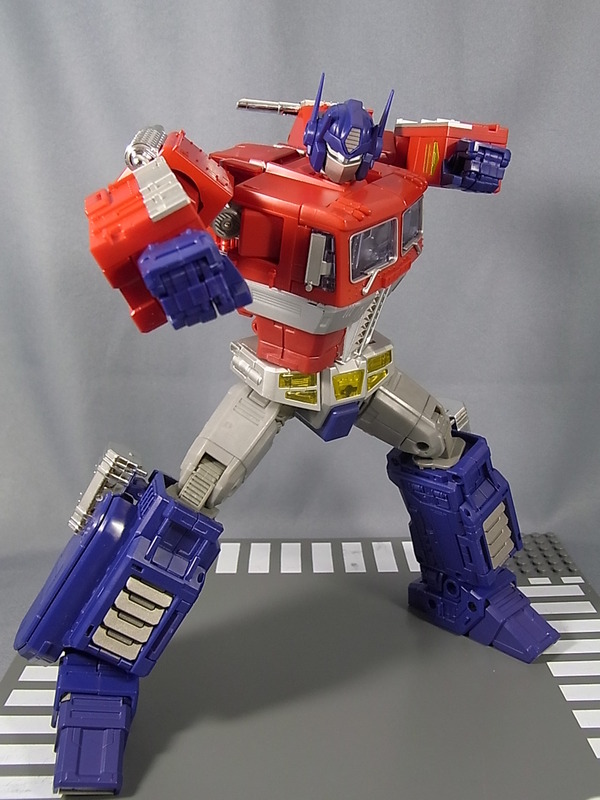 The new version, with new mold, of Optimus Prime has now been released from Takara. MP-10 is the most cartoon accurate version of Prime released so far that comes with a mini-Spike action figure along with his trailer modeled on the G1 version. This is a very expensive toy costing around $250 from the usual importer websites (TFSource, Bigbadtoystore, etc) but he does look pretty sweet. Hopefully video reviews will pop up soon so I can make a decision on spending that kind of money. Depending on the company's supplier (Japan or China), your figure might also come with a coin. Hit the links above to view galleries of this must have figure of any Optimus Prime fan. On a related note, it seems Takara is testing the idea of releasing a Masterpiece Ultra Magnus based on this figure. Back in the 80s, Magnus was a while repaint of Optimus Prime with a trailer that the cab fit into. This version seems to make use of the recent development from 3rd party makers (see Fansproject's City Commander) to create a trailer that breaks down into the needed component parts to form the Magnus look. It’s just a test so this may never happen (but don't be surprised if someone fills the void anyway). This new figure from Takara is based on the Revenge of the Fallen leader class mold of Optimus Prime that has been modified to handle MechTech weaponry. Only this actually seems to be MechTech done (mostly) right as the shield accessory enhances the vehicle mode. Sadly the weapons remain ugly appendages that attach to the vehicle. No details on release date nor if this toy will be released outside Japan/. I suspect this toy will pop up as an exclusive for some company by Christmas. TFSource have an interesting article that looks at the history of the minibots from the TF Generations One line. One of the highlights, besides the walk down memory lane, is just how many different times a mold was re-used. 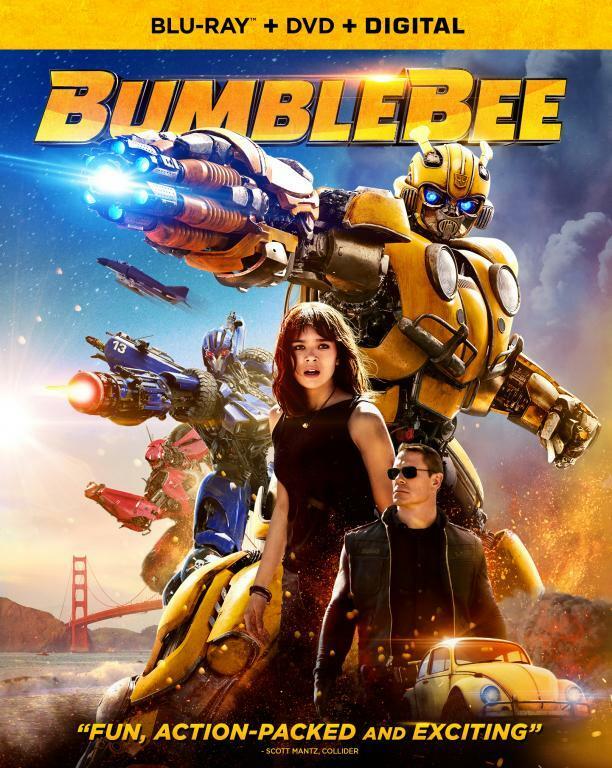 While many of us (including me) find the use of repaints tiresome, this article shows that this has been a long practice of Transformers since the very beginning. However, then Hasbro didn't do it with every single toy of the line while today every mold gets at least one repaint if not more. The final not Insecticon, Backfiery, is coming out in mid-October. At the link is a new gallery of the entire group that is based on the G1 Insecticons but with a whole lot more detail and articulation. Made by third party TF creator Fansproject, the each Insecticon cost $50 each. 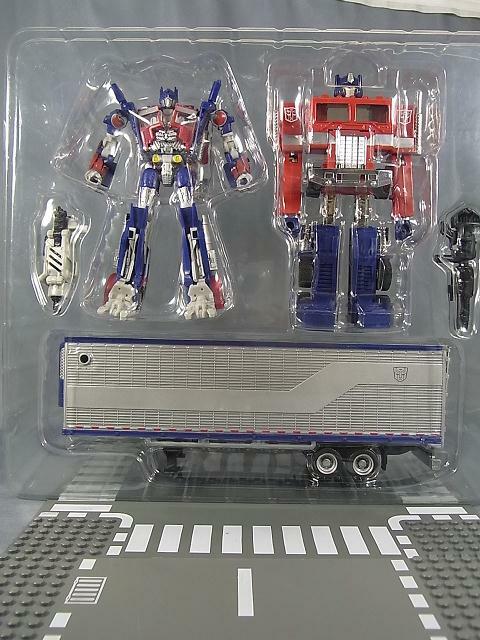 Being the die hard G1 collector that I am, my shipment of the first two is expected to arrive any day now. Just hope they worth it. The Chronicles sets from Takara were just released last week by Takara. The sets are G1 Optimus Prime with DOTM deluxe Optimus Prime with trailer scaled to hold Cyberverse sized vehicles. The Megatron set is a brownish colored G1 Megatron (the gun) with DOTM deluxe Megatron. 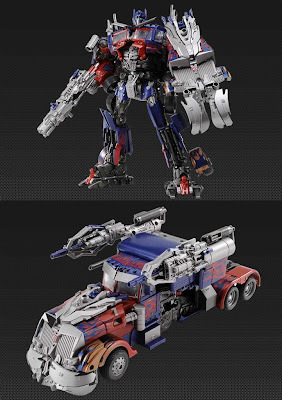 While I could see the Prime set one day getting an exclusive release in the states, I doubt Megatron will ever make it stateside due to the gun alt mode. Both sets can be found at your favorite TF importer for around $125 each. DOTM Deluxe LeadfootThe Dark of the Moon toy line continues to release new toys (and repaints) including the final wrecker, Leadfoot. Due to his Target affiliation, it comes to no surprise this toy is a Target exclusive. If you are on a tight budget, the deluxe class is a good way to go to complete your collection but it seems the Human Alliance versions are better. An update to the below video can be found here. Another review from Peaugh, this time for the action figure version of DOTM Prime. This toy does not transform but is detailed (and expensive) posable figure with various swappable weapon accessories.